The University of Texas at Austin’s School of Journalism started in 1914, in a building that housed heavy printing machinery and was heated by coal-burning stoves. It has grown into the largest and most important program of its kind in Texas, a vital part of one of the nation’s best public universities and now home to courses ranging from mobile-app development to international reporting in a digital age. The School’s noteworthy alumni include Claudia Alta Taylor, who married a young politician and became known as Lady Bird Johnson; Walter Cronkite, who dropped out after two years to take a newspaper job; and Liz Carpenter and Bill Moyers, whose distinguished careers spanned journalism and public service. Lady Bird, Carpenter and Moyers were all aboard Air Force One when Lyndon Johnson took the oath of office after the assassination of President John F. Kennedy, while Cronkite broadcast the news to the world. Today, our graduates work in traditional and startup media organizations around the world, including The New York Times, The Washington Post, Reuters, ProPublica, The Texas Tribune, ESPN, NBC News and CBS News. 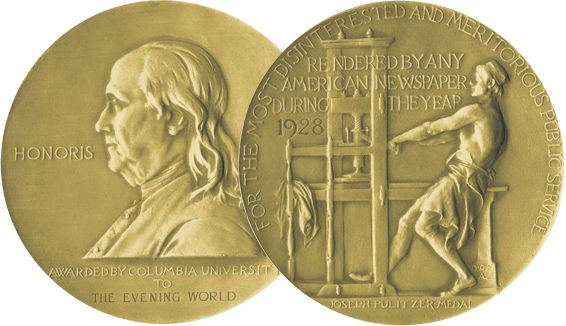 Graduates and faculty, past and present, have won more than 25 Pulitzer Prizes for journalism. Our most recent winner is Houston Chronicle columnist Lisa Falkenberg (Class of 2000), who won the 2015 Pulitzer for Commentary. The School has been continuously accredited since 1948. Throughout that time, the faculty – representing a strong blend of scholarly and professional achievement -- has been known for its hands-on approach in teaching, mentoring and editing to provide students with both the sensibilities and the skills to be complete journalists and valuable contributors to an open, democratic society. In 1965, the School joined with two other departments to become the College of Communication, rechristened as the Moody College of Communication in 2013 after a $50 million gift from the Moody Foundation of Galveston. The college now includes the School of Journalism, the Stan Richards School of Advertising and Public Relations, and three departments: Communication Studies, Communication Sciences and Disorder, and Radio-Television-Film. In 2012, the School of Journalism moved into the Belo Center for New Media and introduced a converged, digitally based undergraduate curriculum with new courses at the lower and upper levels. In 2014, the school celebrated its centennial. The following year, a $1.5 million gift from the Belo Foundation established an endowment to advance journalism innovation at UT-Austin. Student work inside the Belo Center is reinforced by strong relationships beyond its doors. The School benefits from a committed, well-placed network of alumni and from partnerships with news organizations throughout Texas. This enables our students to obtain quality professional internships and jobs in the major media markets of Austin, Dallas/Fort Worth, Houston and San Antonio, as well as in national venues.